This program bridges the gap between dance fitness and dance choreo classes. DanceVibes allows an outlet to clear the mind through dance, whilst also providing a heart pumping, fun & challenging workout in a friendly and judgement free environment. ​Save the date for Pride. June 30th. Rehearsal dates will be announced soon. 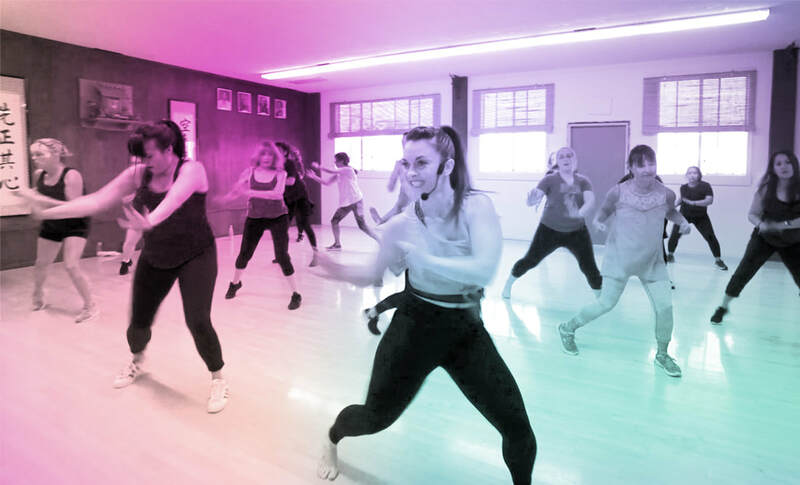 DanceVibes is an opportunity to learn dance techniques within the context of a heart pumping, fun and challenging workout. The environment is friendly and non-judgmental, lacking the rigidity often found in the dance studio scene. Music inspired choreography is introduced and broken down for the class into small, easily acquired dance sequences, including a variety of rhythms, techniques, and intricate patterns. These new dance routines are then merged into an ever increasing repertoire of choreographed songs. Learning and repetition of the songs challenge the dancer’s memory, coordination, strength, and emotions. DanceVibes is a door to enhanced mental and physical empowerment through the fun of cardio-dance. A must for beginners and intermediate dancers who love to perfect choreography. This is highly encourage for any individual who is new to DanceVibes or doesn't have prior dance experience. For those who have dance experience, like a challenge, and can learn/modify dance fitness choreo quickly, please jump right into the DanceVibes Signature Class and learn at your own pace. In this class you will receive verbal instructions and cues to break down how to do body isolations, basic dance patterns and how the routines are pieced together. You will join other members in DanceVibes Signature class when you feel ready. ​Though this is not a beginning dance class it is a great way for beginners to learn how to dance through repetitive dance fitness choreography. Keep in mind there is a new choreo taught each week and difficulty and style of routine will vary from week to week. This class is focused on Afro based dances and songs that come from Latin America, the Caribbean, and Africa. These dances are about having fun, having flare, and flipping your hair! Styles is a choreography class, where you learn a single routine from a new instructor each week. Styles include, hip hip, samba, afro, street jazz. You will learn 64 counts of choreography just like you would in a dance studio class setting. Not only will this class make you sweat but you will work on coordination, memorization and mobility of different muscle groups not used in day to day activities.